The absence of persuasive precedents may prevent some attorneys from framing the effective policyholder arguments in insurance coverage litigation. 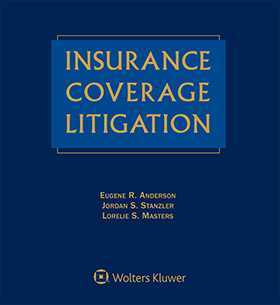 With Insurance Coverage Litigation, Second Edition, you’ll discover how the experts analyze the facts to win your next insurance coverage case. This unique resource provides comprehensive examination of the full range of issues shaping insurance coverage cases being heard in the courts today—including the publicly available, but hard-to-find industry “lore” that savvy insurance practitioners use to win complex insurance coverage cases. Whichever side you represent in the billion dollar insurance coverage field, this work contains vital information you can’t afford to be without when preparing a case for state or federal court. Extensive analyses of case law on insurance coverage issues arising under general liability insurance policies. The most in-depth discussion of the drafting history of standard-form general liability insurance policy language—including language derived from the insurance industry’s own representations to the public, governmental agencies, courts and policyholders—one of the most powerful tools available to policyholders. Easy-reference tables and state-by-state summaries that help you quickly grasp and compare court interpretations on a broad range of issues including the reasonable expectation doctrine, trigger of coverage and allocation, notice of claim or action, and insurability of punitive damages. Cutting edge analysis and guidance on rapidly evolving areas such as environmental liability, intellectual property disputes, technology and “cyber” losses and liability, autonomous vehicles liability, terrorism coverage, and more.